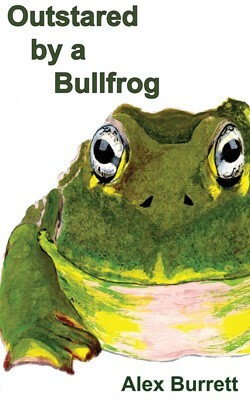 Outstared by a Bullfrog | The works of author Alex Burrett. Generally, when God appears, the response is predictable: witnesses drop to their knees, bow their heads and avert their eyes. Well if you’re lying on your back when The Almighty shows up, you can’t drop to your knees. And that’s just the start of it. Outstared by a Bullfrog – an e-novel for grown-ups. Hi, I would like receive a copy of your e-novel Outstared by a Bullfrog. Could you please let me know how can I obtain it? Its ok. I found out the copy on Amazon Kindle. Thanks anyways.